Gelsenkirchen - It was just the response FC Schalke 04 needed from heavy defeats against FC Bayern München and Real Madrid in the UEFA Champions League respectively, as they hit four past 1899 Hoffenheim in Gelsenkirchen. bundesliga.com rounds up what some of the protagonists had to say after the Royal Blues' comprehensive win. 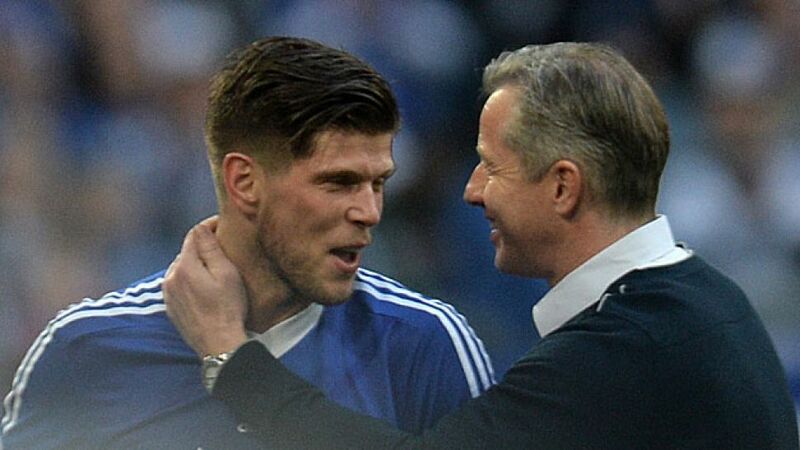 Klaas-Jan Huntelaar: It was a great game from every single one of us. We were aggressive and we dominated. We defended right up the field and didn't let Hoffenheim into the game. Maybe they had one or two chances, but that was it. For the [missed] penalty, I got a twinge of cramp as I was shooting (laughs). To be honest, I've trained myself to wait to see which way the keeper goes and I saw him heading one way, but it really wasn't good from me - I should have just picked a corner and not tried the chip. I'm definitely doing it differently next time. Julian Draxler: We deserved the win. Hoffenheim definitely matched us in the first half, but we had chances too. It's all about scoring goals, and we've had to find that out to our cost lately, so it was nice to be on the other end this time. Max Meyer: We've got to defend fourth spot. We're now five points clear of Wolfsburg and we know we're level with [third-placed Bayer 04] Leverkusen now. But in spite of that, we've still got to ensure we either maintain or increase the lead over fifth. There are plenty of games to come and a lot can still happen. Ralf Fährmann: This was the real Schalke again. We've kept a clean sheet, scored four and played attractive football. I'm always delighted when a plan comes together. There's nothing more beautiful than being part of such a team when we play with the togetherness we showed today. Andreas Beck: This wasn't our game today. Schalke imposed themselves and they were leagues ahead of us.